Your slide is an indispensable original. The correct choice of mount will determine the performance and quality of your projection during future years. The worst enemies to the slide photographer are: pollution, dust, fingerprints, scratches and other “mechanical damage”. 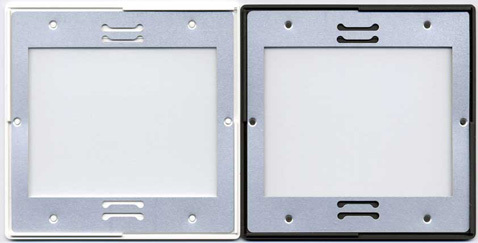 The best solution for projection and protection are Gepe slide mounts. The slide is safely held in place with the clips of the metal-mask [illustration]. 3 mm (Type A) fits all Standard and DIN slide trays & 80 round trays. 2,3 mm (Type SB) fits all Standard and DIN slide trays & 80/100/120 round trays. 2 mm (Type LKM) fits all Standard and DIN slide trays & 80/100/120 round trays & LKM and Paximat trays. A longer projection without the risk of damage to the mount is possible. The solid construction with two inter-locking halves ensures perfect stability of the mount. The Anti-Newton (AN) glass prevents Newton rings. 3 mm (Type A) fits all Standard and DIN slide trays. One side with AN glass, the other with plain glass for best projection results. Sound and multivision slide shows create special demands for the slide mount. For this reason Gepe has developed a special professional slide mount which meets the needs of the AV users. 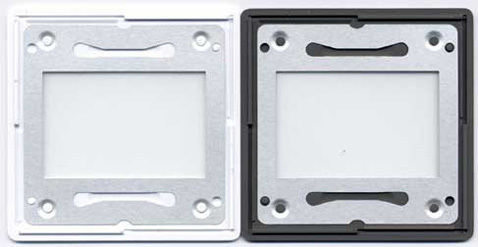 Though these mounts at first glance are very similar to the normal Gepe slide mounts there are some basic differences defined by their purpose in use. The Gepe PRO Pin Registered mounts are intended for film material exposed by register cameras or precision copying machines. They keep the film exactly in the given position and meet the international norms of SMPTE or AMI. 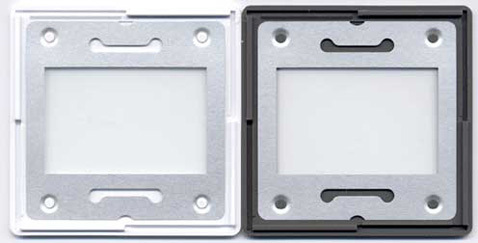 For those users that do not use film «in register» there is an alternative PRO mount which features the conventional Gepe metal-mask clips combined with eight pins. In this mount the eight pins are responsible for the exact positioning of the film. An other interesting alternative is the Gepe PRO VR mount which has two round locating pins to match two VR holes which are punched in the edge of the film. This ensures that the film can be positioned exactly within the mount and gives the user the possibility of achieving registration from non registered slide film. 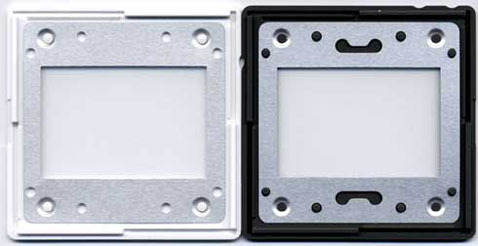 The two VR holes are punched with the Gepe VR punch which is compatible with the Wess VR standard. The Slide is protected against pollution, dust, fingerprints and scratches. 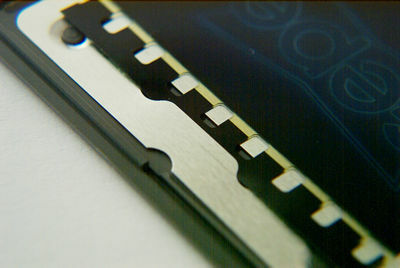 The film is centred in the mount to allow front or back projection without remounting. 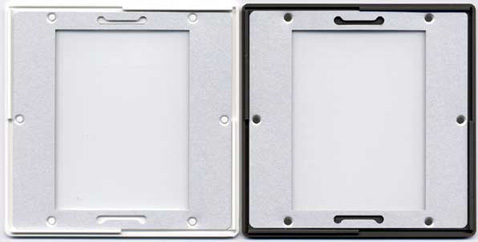 A finger notch ensures that the mount can be properly positioned, even in the dark. A slot in the side of the mount allows fast and easy opening of the mount. 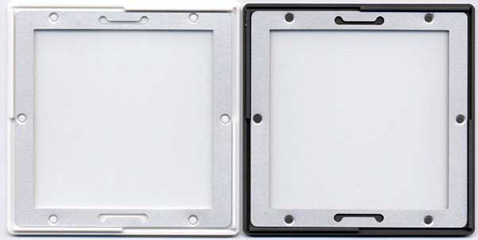 Masks or sandwich slides can be used in the mount. 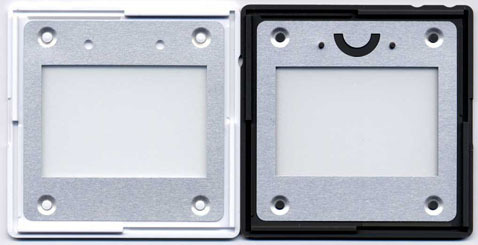 2,5 mm fits all Standard and DIN slide trays & 80 round trays. 3 mm fits all Standard and DIN slide trays & 80 round trays.